The house of "Ti Amzer Zo", classified 2 stars is a pretty terraced house, on the same level, exposed S SO being able to receive up to 4 people with its surface of 55 m ². 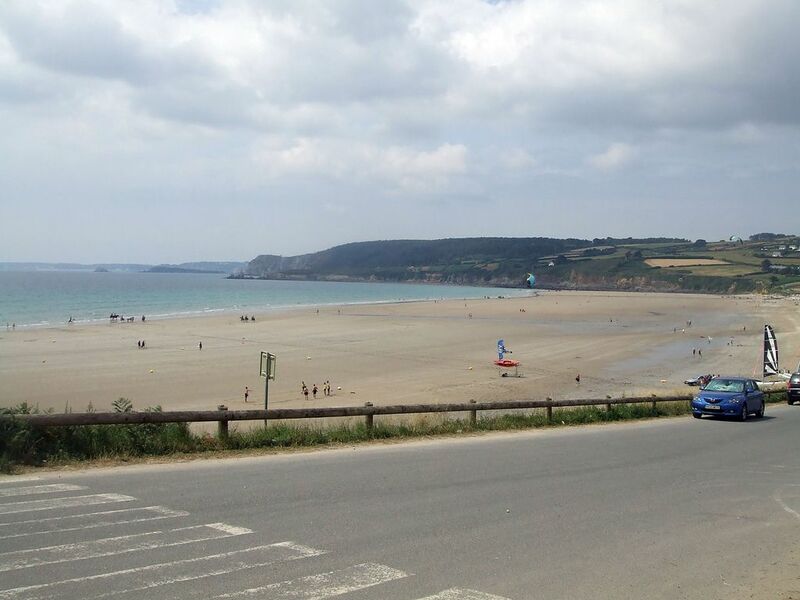 Ideally located in Telgruc-sur-Mer, you will be at the entrance of the peninsula of Crozon. It enjoys a sea view and has the advantage of being 400m from the GR34 and 1km from a beach (Trez Bellec) with fine sand secure for children, a perfect place for a pleasant vacation, quiet and relaxing. Rental conditions: 5 days minimum (starting on Saturday or ending on Saturday) every month except July and August where the minimum is 7 days. It consists of a living room with sofa, flat screen TV and Internet access WIFI. The kitchen is well equipped (fridge, gas stove with oven, microwave, toaster, kettle and coffee maker). The first bedroom has a double bed 140 x190 cm, the second has two single beds 90 x 190 cm. The bathroom with shower and toilet are separated. The rental has an umbrella bed, a chair and a small bathtub for young children. A washing machine and dryer are located in a common room next to the unit. The terrace has a garden furniture, a parasol and a barbecue. The land is secure and thus suitable for children. There is private parking, you can also park near the accommodation. Pétanque field and swing available on a common part. All shops (supermarket, bakeries, hairdressers, doctors, pharmacies, newsstand, bars) are 2 km away. Possibility to store on site equipment for sports activities. The property is at your disposal for the duration of your stay, not forgetting that other holidaymakers will follow you. You are asked to return it in the state where you found it when you arrive, otherwise 50 euros will be asked for the cleaning.